There is no time period more challenging yet and at the same time more exciting for governance than when the political environment is in flux. In the Philippines, 2016 marked significant changes as the country transitioned to the Duterte administration. The Duterte era is believed to signal greater transparency in government, especially with the signing of an Executive Order on Freedom of Information merely days after President Rodrigo Duterte assumed office. At the same time, the 2016 elections sparked plenty of debate and conflict in online and offline spaces, thus highlighting the role of social media in amplifying citizen voice. This is perhaps the reason why 2016 was an interesting year for Philippine governance, and even more so for the Voice or Chatter project. In the Philippines, the research project is led by Foundation for Media Alternatives, with the case study on the Philippines’ Open Data Initiative. Using Anthony Giddens’ structuration theory, the study examines how open data can be used by government and citizens to generate shared meaning. 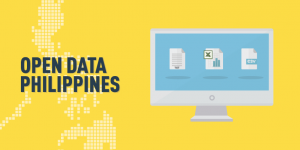 ” It does this by using available secondary data on the ODP, as well as in-depth discussions with a former member of the Philippine government’s Open Data Task Force. The study starts by looking at the development of eGovernance in the Philippines through the years, from the creation of the National Computer Center in 1971 to the various initiatives done under the country’s commitment to the Open Government Partnership in 2011. It then zeroes in on the case of the Open Data Philippines (ODP) and examines the initiative’s successes and shortcomings, as well as how they can impact and inform emerging policies such as those on Freedom of Information. An analysis of the history of the ODP from 2011 to 2016 showed that although Open Data Philippines offered significant potential and operated with a vision of enriching citizen participation in governance, its overall impact fell short because of several reasons, namely: limited citizen involvement and poor appreciation of open data by both the public and the government. These include low uptake because of persisting gaps in access and literacy, significant lack of monitoring and evaluation efforts by the government, and a volatile political landscape that impedes sustainability. First, the Philippines’ commitment to the OGP must be further institutionalized to ensure continuity and sustainability of efforts under the Partnership. Second, a wide-reaching paradigm shift must occur with regard to the attitudes and appreciation of open data among political leaders and civil society alike. Lastly, a long fought-for Freedom of Information law must be passed covering all branches of government to strengthen the impact of access to information for good governance. FMA intends to use the Voice or Chatter research to advocate for policies that could fill its identified gaps and achieve the potential of open data for citizen engagement and meaningful change.